Opened in 2009, Poets House’s 11,000-square-foot space at the base of the Riverhouse condominium tower was designed by architect Louise Braverman. 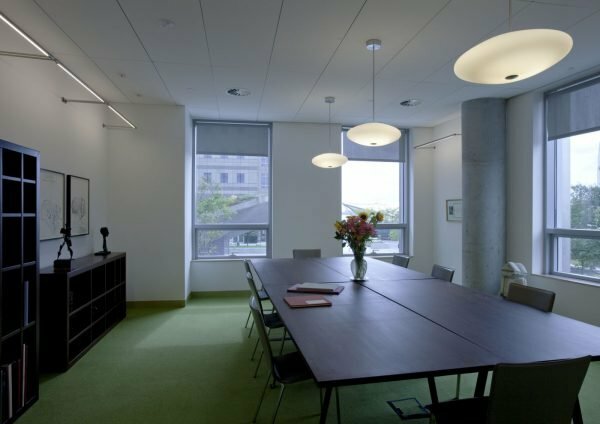 The building is LEED-certified and eco-friendly, meeting the Battery Park City Authority’s green building standards. Our sunny, spacious facilities include areas where we hold large and small events, intimate poetry workshops, and exhibitions—and, of course, our library and reading room. 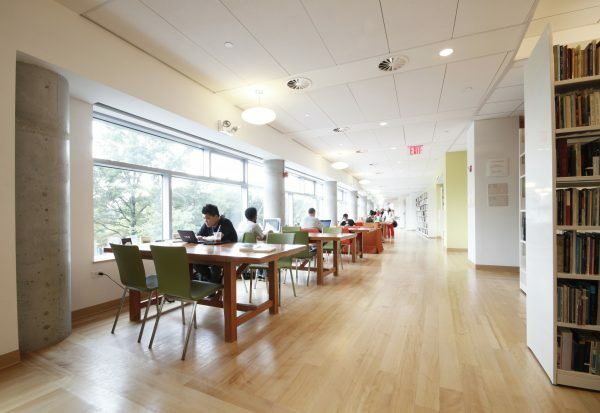 The Margo Viscusi Reading Room, which houses the 70,000-volume Reed Foundation Library, offers comfortable settings for reading, writing, and conversation. The library functions as one of the nation’s most comprehensive open-stacks repository of poetry books— a publicly-accessible poetry collection where poets, poetry lovers, and those new to poetry can meet, write, read, research, and work with rare materials, all with no library membership or admission fee required. With a wall of windows overlooking the Hudson River on one side and shelves of poetry on the other, the Reading Room is a cozy, well-lit space for reading, writing, and thinking. Items from Poets House’s art collection are typically on display, including works by artists such as Philip Guston, rare broadsides, and poetic ephemera. Our Quiet Reading Room is also available on a first-come, first-served basis for those who would like to work in private or meet in small groups. 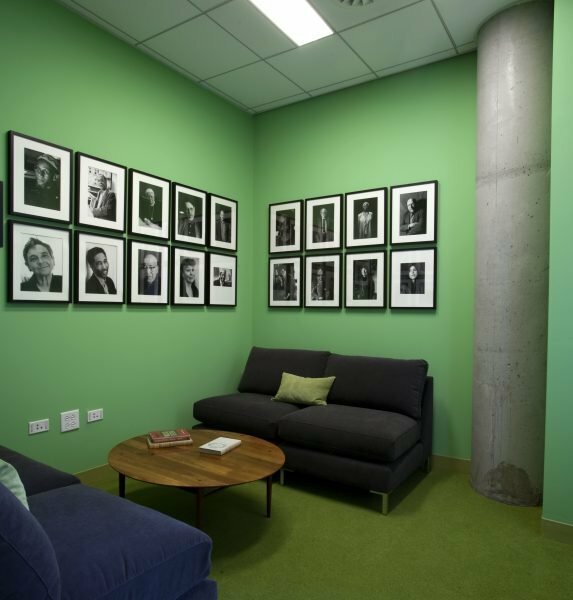 Housed in the Frank Platt Listening Center of the library is the Axe-Houghton Multimedia Archive, which comprises more than 2,000 distinct items, representing thousands of sound hours and a multitude of poetic voices. The Multimedia Archive also features recordings of thirty years of Poets House’s own programs with renowned poets from around the country and the world. A computer is available in the Listening Center for those wishing to search our online catalog while on-site. Free Wi-Fi is available throughout the library, and photocopies of books are free to make as well. 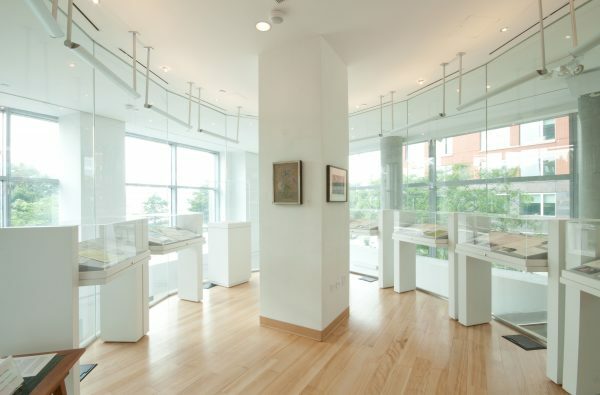 The Cheney Chappell Exhibition Space is an oval, glass-walled museum-quality gallery funded by poet and artist Kate Cheney Chappell, climate-controlled for exhibiting rare and fragile manuscripts and documents. Vitrines, generously donated by the Leon Levy Foundation, prominently display Poets House’s rotating exhibitions, which typically feature archival and rare poetic materials that bridge the gap between poetry and art. 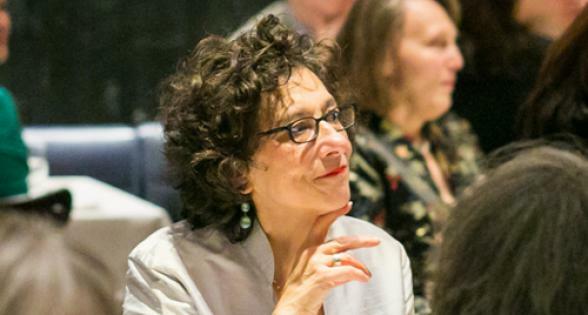 Honoring Poets House co-founder and renowned arts administrator Elizabeth “Betty” Kray, this ground-floor venue hosts many of our readings and institutional programs, with space for up to 85 attendees. A garage-style door opens the space to an outdoor seating area in Teardrop Park, where events are often held in good weather. Kray Hall is also the home of the Poets House Showcase, our free annual exhibition of 3,000+ new poetry books from over 700 publishers. 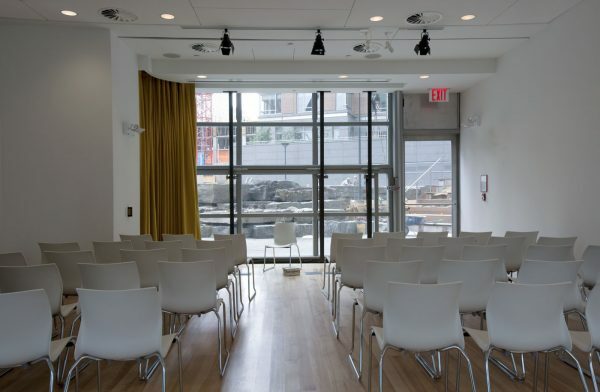 Named after Poets House co-founder and two-time Poet Laureate of the United States Stanley Kunitz, our conference room hosts many of our workshops and classes. The space is fully equipped with AV functionality and features many items from Stanley’s unusual collection of antiques and art objects. The Children’s Room offers a place for children to read and write poetry, attend unique performances, and participate in making art, music, and dance as they play with words. Every object in the room is intended to promote thought and association. Children can compose their own poems on old-fashioned manual typewriters (a surprise favorite among the digital generation) or explore a wooden card catalog filled with objects and poems to inspire creative work. 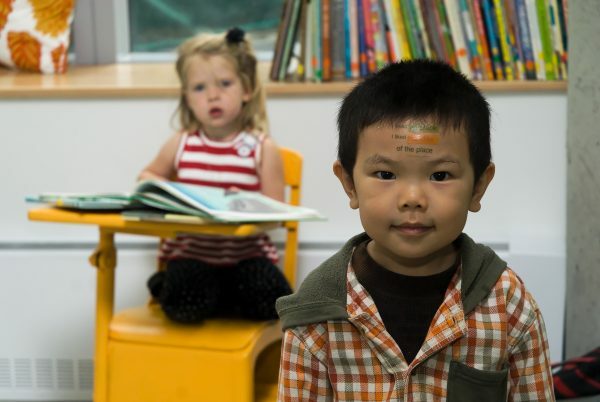 In addition to events for children with acclaimed artists and poets, we offer Tiny Poets Time, a weekly program for toddlers. The Children’s Room is also the headquarters for our free class trip program, which has brought thousands of children to Poets House from around the city.